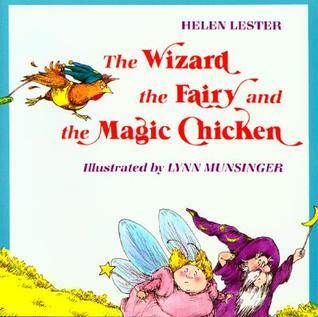 There was once a wizard, a fairy, and a magic chicken who could never get along. They are always competing with one another and arguing over who has the most magic. Their quarrel finally lands them in front of three monsters they cannot outrun. Faced with no other option, they decide to work together to beat the monsters. It is difficult to say whether the illustrations or the text is more entertaining in this lively tale, but the clever lesson on teamwork shines throughout. The outlandish premise of this story is sure to have children laughing from page one, with each subsequent page holding their attention captive. A chicken with a pickle for a wand and a wizard that can turn a pig into a bicycle are sure to have children rolling from laughter, and the vibrant illustrations do not disappoint in delivering an equally riveting story. However, it is the clear portrayal of teamwork at the end that make this book a keeper. It will encourage positive conversations about relationships with others and working together. This will be a welcome addition to any collection!